We are a leading manufacturer and supplier of excellent quality Walk-In Unit. 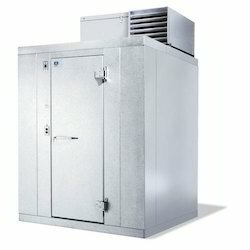 We Cool Star Walk-in Units Walk-in Units manufacturer in India,Walk-In Freezers manufacturer in India,Walk-In Coolers manufacturer in India,Walk-in Combination Boxes manufacturer in India.The offered range is manufactured in compliance with international quality standards using superior quality raw material and the latest technology. Our quality controllers check the entire range on well-defined parameters to provide the flawless product. Moreover, our client can avail this equipment in various specifications at reasonable prices. 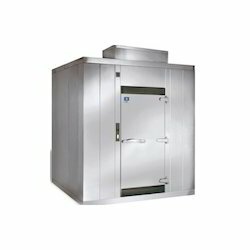 Your walk-in unit is arguably the most important and understated piece of restaurant equipment you have. Designed for optimum performance and long life. Pre fabricated modular type cold room. Wall panel locking CAM type. Single piece pre - fabricated corner panel. Rigid Puffed sandwich panels insulated with poly-uthrene foam. Exterior Interior of panels are available in S.S / Pre Painted galvanized sheets. Fitted with hermetically sealed energy efficient compressor. Condensing Unit: Copeland Kirloskar / Tecumseh. Digital type temperature display meter with indicators provided in cold rooms. Flooring available in Aluminum Checkered Sheet / Kota Stone. 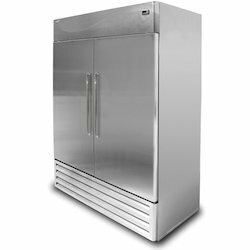 Model available in Chiller / Freezer. 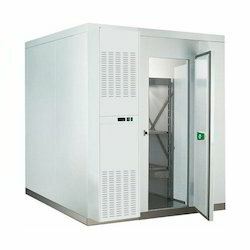 Cold Room can be fabricated in any custom size to suit as per requirement. Pull down time 24 Hrs. 24 Hrs. Looking for Walk-In Units ?